The following article was tweeted by Michael Salla, which gives an amazing forewarning of the false flag terror event in Las Vegas. A Whistle-blower named 'John' says the Las Vegas shootings is known in intelligence circles as being part of 'THE HIGH INCIDENT PROJECT'. Read below to see the 5 different posts he made, warning about a terror event/false flag in Las Vegas a few weeks before the event took place. 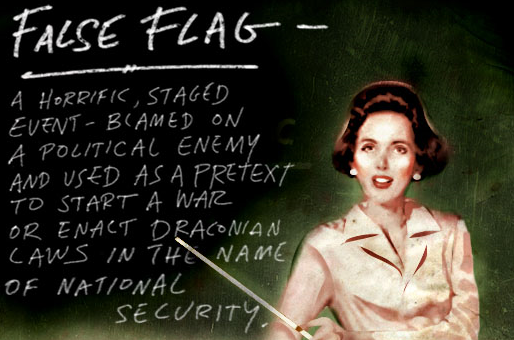 He also gives names of people and companies in high political positions who will benefit from this false flag event. Michael Chertoff - Wikipedia About Michael Chertoff and Report About How Chertoff Makes Money Off Of Fear "Full Body Scanners"
Las Vegas Shooting (AKA The High Incident Project): False Flag Warning Dated Sept 11, 2017 States "if their plan is successful the state of Nevada will pass a law in the future making all casinos have mandatory metal detectors and backscatter machines..."
The following 5 posts were posted by the same Anonymous person on Monday Sept 11, 2017 in a single thread titled "IF ANYTHING HAPPENS TOMORROW. ITS MOSSAD. FALSE FLAG LEVEL ALPHA"
Post #2: just stay away. go to arizona if you can. they won't bother you in arizona. Post #3: to clarify i won't be doing anything to harm anyone. i'm not a killer and i never will be one. Post #4: it's called the "high incident project". they want to make the american public think that places with extremely high security aren't safe. they are trying to create more regulations. you will see laws proposed within the next few years to put up more metal detectors and other security devices. media and politicians will be saying places with lots of police need even more police. i can't guarantee anything will happen tomorrow but las vegas is on their minds. Post #5: "if their plan is successful state of nevada will pass a law in the future making all casinos have mandatory metal detectors and backscatter machines. soon after a federal law will be passed to put these machines in universities, high schools, federal buildings, you name it. osi systems and chertoff are the main producers of these machines. sometime around 2020 chertoff and osi will merge into a single company. after they merge the owners will sell off all their stock and make billions in profit. mr chertoff has been in contact with sheldon adelson. mr adelson will become a huge sponsor of these machines and he will be the first to put them in his casinos when the law passes. this is my last message for now. don't expect me to return anytime soon"